Made of corrugated 13 ga. sides for strength and rigidity. 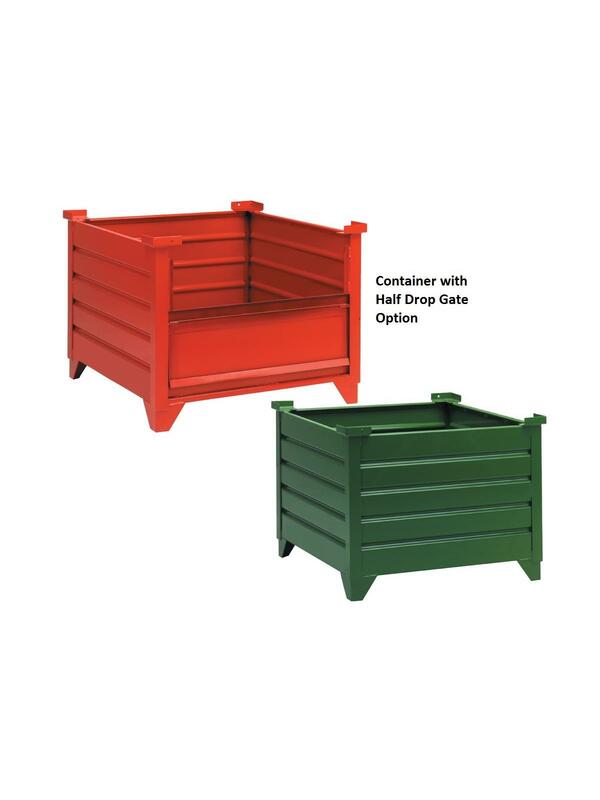 These heavy-duty corrugated steel containers are rated to hold 4000 lbs. each and stack five high. Utilize your airspace and save your floorspace with steel stackable containers! Available with or without an ergonomic half drop gate (drop gate is on the long side). 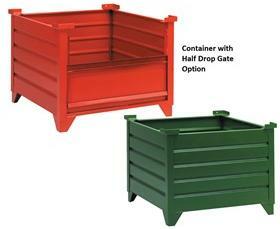 These containers are interchangeable with other models and have a 4" underclearance. A durable powder coat paint finish is available in Green, Blue, Red, or Orange. Containers also available unpainted. Contact us about custom sizes and colors. FOB Shipping Point. 42 x 42 x 29.5"42 42 29.5"